Have you ever heard of Parsons? 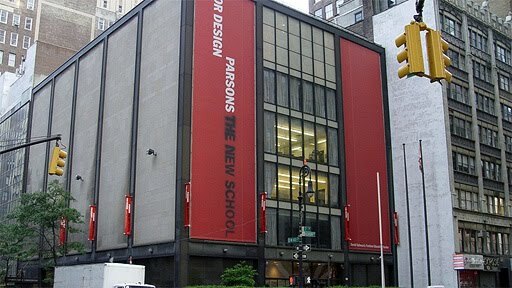 The few of you that have -- you probably know Parsons only as the setting for Project Runway. You probably think of Tim Gunn scampering down a hallway. You might be correct for thinking that. One thing that distresses me about the current state of "video game studies" is the way most universities treat them: either as purely a text to be analyzed alongside film studies, or some sort of trivial thing under the oppressive umbrella of "new media" in an art practice department. The textual approach often neglects the mechanics of a game and how it works, while the "new media" direction is obsessed with interface -- "how about a game where you wander local parks, taking pictures of flowers with iPhones to create a visual poem about the importance of green living?" To which I reply: that sounds really boring and overly didactic but I'll respect it as long as we acknowledge that it (a) is poor design, (b) ignores the rich tradition of video game design. Neither dominant approach to covering video games gets it right, in my opinion. (Throughout my undergraduate career I found UC Berkeley's Center for New Media to be kind of unsatisfying in this regard -- you claim to study interaction and technology, but you've barely done any video game design work? Really? The few schools that do approach video game design, honestly and earnestly and involving the commercial canon -- well, they're few in number: Interactive Media at USC, IT University at Copenhagen, maybe the ETC at Carnegie Mellon... and that's about it to my knowledge. Other decent programs (CMS at MIT, Gambit) seem to be floundering or still trying to find their feet. My point is that these schools merge cultural appreciation with hands-on creation, and thus they seem best equipped to do the real work of training designers. Parsons is kind of on the "new media" art practice side of things, but one of their key faculty -- Katie Salen -- wrote one of the foundational texts of game design, "Rules of Play." They're kind of shifting away from the forces of evil, finally seeing the light of video game development, and that is what made them pretty attractive to me. I think it's going to be an exciting place for me. ... Plus they didn't require a GRE score and had a generous application deadline. Hurray for art school.